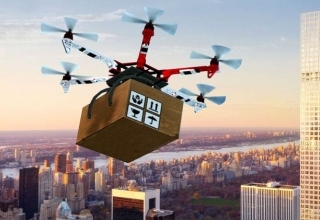 Amazon filed a patent for technology that will assist drones maneuver their way around objects in their flight paths last year, which is still pending. The answers to some questions lie on the patent, which Amazon filed for in 2014 but was only approved and published in October 2015. The U.S. Patent and Trademark Office revealed the filing on October 1 for “sense and avoid for automated vehicles,” which provides details on how its UAVs would use laser, sonar, and other signals to perform necessary tasks like planning routes, negotiating obstacles, and landing. 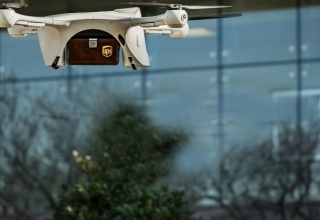 One of the top priorities of Amazon’s drone delivery unit is achieving sense-and-avoid capabilities to allow for fuller UAV automation. 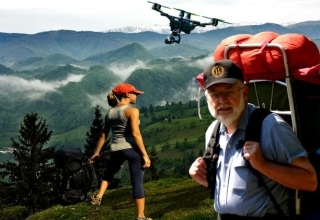 Prime Air’s leader, Gur Kimch, who is listed as one of the five inventors on the patent, has recognized and admitted the scrutiny surrounding delivery drones in previous discussions with Forbes and mentioned that he knew that just one bad incidence was enough to make the industry lose its appeal. Amazon has, however, emphasized that its program will not be launched to the public until it can completely demonstrate safety features like sense and avoid. Amazon is projecting for a future where humans will not have to do a lot of interactions with drones and it also hopes that someday, computers may fly a drone from a warehouse to a customer’s backyard to deliver a package. 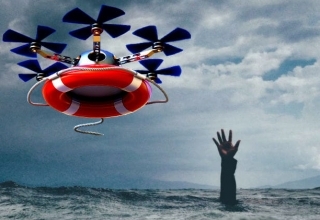 At the moment, most consumer and commercial UAVs cannot sense objects in their vicinity and mostly still need human beings to control them within line of sight. This basically limits the extent to which drones can go. 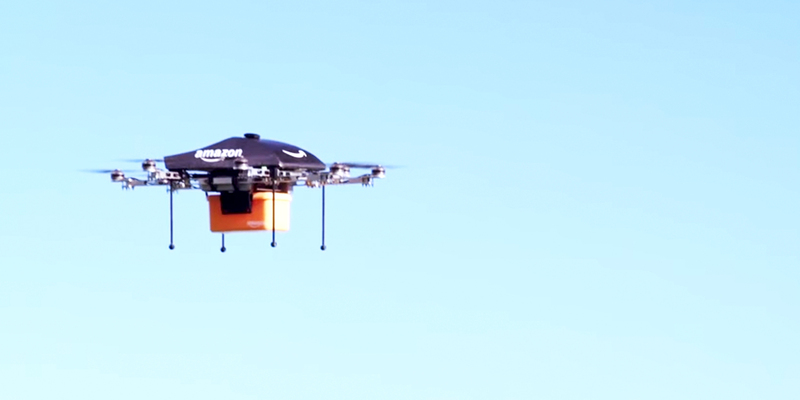 A spokesperson for Amazon refused to say anything on the company’s drone patents. Tech companies like Amazon file several patents each year and some of those patents never see the light of the day. Amazon’s latest filing shows the thoughts of the company toward sense-and-avoid technology. 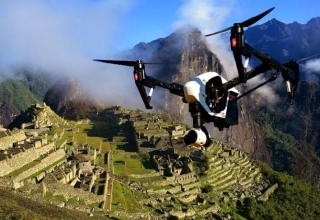 A description in the patent says how a drone’s body could be mounted with various sonar or laser-based rangefinders, which can determine an object’s distance by analyzing how long it would take for laser signals to reflect off a tree or bird. Those devices are most likely using some combination of transmitters and sensors. Another description discusses the bringing of a laser-based rangefinder into a motor that spins one of a drone’s propellers. 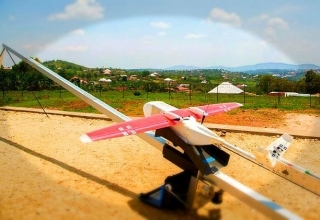 That device would spin with the propeller, enabling it to detect objects in a 360-degree plane around the device. Moving away from placing sensors on the vehicle, Amazon also gives a description of how it would place transmitters in fixed positions on or near “gas stations, landing areas, cell towers” and other places so that a drone can identify its position in relation to fixed objects. 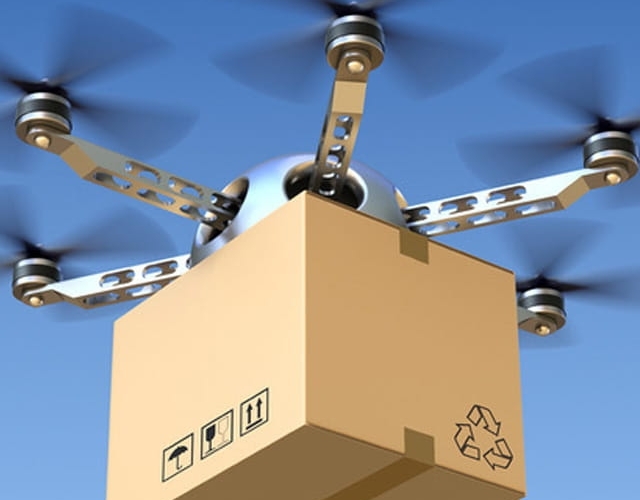 There is also a simple diagram of a transmitter-loaded landing pad, which the company says may be used in areas without GPS—like fulfillment centers—to help guide drones to point out resting points. 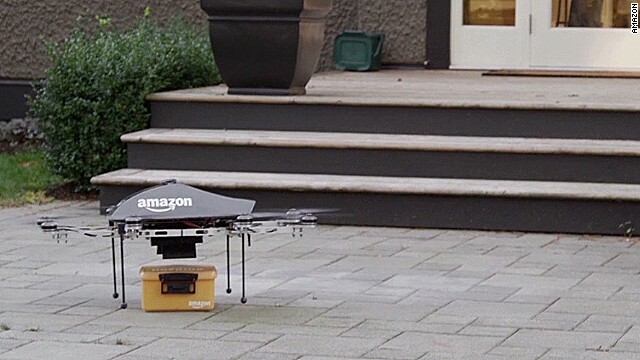 Amazon’s recent video revealing its new drone video showed a customer collecting a drone-delivered package by laying out a landing mat in their backyard, though someone familiar with Amazon’s plans says that those pads do not require transmitters. Some of the information in the patent are dated (diagrams in the document show the company’s first eight-propeller drone), the ideas in the filing tallies with the vision laid out by Kimchi for a regulated drone highway in the sky. In July, the Kimchi head gave a speech at NASA’s Ames Research Center in Mountain View, California, to argue for a corridor in the air between 200 and 400 feet that would be reserved for high-speed, autonomous drone travel. 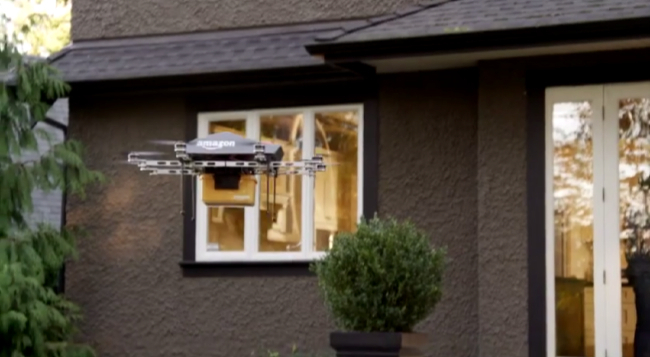 Amazon intends to explore beyond sense-and-avoid to more applications of drones. The idea that a group of drones could create a “mesh network” to share data using Wi-Fi or other signals is even more interesting. That network could eventually be connected to your home devices as an alternative communication network.